Certified nursing assistants use their acquired knowledge and skills to provide basic care for the disabled, elderly, and ill patients. In a home or medical facility, the CNA will help patients with those daily activities that they cannot do one their own. 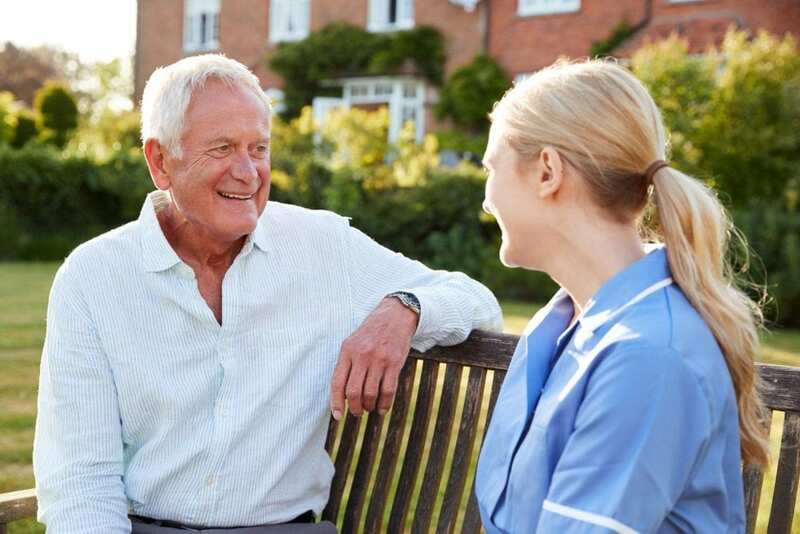 Most CNAs work in clinics or long-term care facilities, but they may also work in hospitals and patients’ homes to provide companionship and support. They might bathe and feed patients, do light housekeeping, assist with activities like dressing and toileting, and serve meals. A CNA works under the supervision of a licensed nurse to follow the treatment plan and observe and report changes in patients’ behavior. In addition to the duties related to direct care, CNAs offer emotional and spiritual support by being a constant source of companionship for their patients. While nurse aides can provide a great deal of care and support, there are limitations to the duties they can perform. In Arizona, a CNA cannot administer medications, insert IVs or catheters, or diagnose conditions. An adult who is interested in working as a CNA must obtain certification through a state-approved program that is available at community colleges, nursing homes, and high schools. For a period of 3 to 12 weeks, students will learn body structure and function, infection control, emergency care, communication, personal care, patient privacy and rights, and cognitive care. The nursing assistant certificate program at the Meadows of Northern Arizona LLC is approved by the State of Arizona so graduates are eligible to take the state competency exam to work as a Certified Nursing Assistant. The curriculum covers 120 hours of theory and practical instruction in a simulated lab and a long-term care facility. The duration of the course is 3 weeks. Students meet from Monday through Friday from 7:00 am to 3:30 pm for two weeks in the classroom. The clinical experience commences at the start of the third week – times vary based on the clinical site. The final exam and graduation will take place on the following Monday. CPR/First Aid training is available during the first week for those who would like to participate. CPR and First Aid certification are required for employment as a CNA in Arizona. Courses covered in the CNA program include ethical and legal behavior, resident rights, collaboration, mental health and social needs, communication, resident safety, infection control, infection control, emergency care, basic nutrition, personal care and grooming, vital signs, transfers, positioning, and turning, common health problems, and aging and the body system. Complete TB test and submit for school records. Tuition for the program is $995. Additional costs include textbook and workbook, scrubs, and the state exam. Yavapai College’s Nursing Assistant Certificate program includes theory and practical experiences to prepare students for success on the state competency exam to obtain certification as a nurse aide. The 5-credit program covers the essential areas that adults need to provide safe and competent care. Students learn basic nursing skills, how to use the programs of infection control, promote client independence, restorative care skills, emergency procedures, protecting client rights, observe and report changes in client condition, and legal and ethical aspects of practice. They also learn client behaviors and needs, written and verbal communication, body structure and function, signs and symptoms of common diseases, and caring for patients with cognitive impairment. Use the contact information below to find out more about the class schedule and cost. The nursing assistant certificate program at Mountain Institute JTED is for high school juniors and seniors. The program prepares students for Certified Nurse Aide certification, CPR certification, First Responded First Aid certification, and National Health Science Consortium certification. Through theory and practical instruction, students learn how to make career decisions, succeed at post-secondary education, and obtain the skills necessary to enter the workforce. The program requires completion of 360 hours in 2 years. Classes meet Monday through Thursday from 6:45 to 9:15 am or 1:45 to 4:15 pm plus 1 hour a week online, or Friday only from 8:00 am to 1:00 pm plus 5 hours of online study. Students must provide scrub tops and bottoms, a watch with a second hand, and white sneakers to participate in the program.